COMMENTARY My aim First of all, I would like to place on record what my interest in this book is. I do not have any great interest in the minor details of Malabar or Travancore. Nor about the various castes and their aspirations, claims and counterclaims. My interest is basically connected to my interest in the English colonial rule in the South Asian Subcontinent and elsewhere. I would quite categorically mention that it is ‘English colonialism’ and not British Colonialism (which has a slight connection to Irish, Gaelic and Welsh (Celtic language) populations). Even though I am not sure about this, I think the book Malabar was made as part of the Madras Presidency government’s endeavour to create a district manual for each of the districts of Madras Presidency. William Logan was a District Collector of the Malabar district of Madras Presidency. The time period of his work in the district is given in this book as: 6th June 1875 to 20th March 1876 (around 9 months) as Ag. Collector. From 9th May 1878 to 21st April 1879 (around 11 months) as Collector. From 23rd November 1880 to 3rd February 1881 (around 2 months) as Collector. Then from 23rd January 1883 to 17th April 1883 (around 3 months) as Collector. After all this, he is again posted as the Collector from 22nd November 1884. In this book, the termination date of his appointment is not given. Moreover, I have no idea as to why he had a number of breaks within his tenure as the district Collector of Malabar district. Since this book is seen as published on the 7th of January 1887, it can safely be assumed that he was working on this book during his last appointment as Collector on the 22nd of November 1884. From this book no personal information about William Logan, Esq. can be found out or arrived at. It is seen mentioned in a low-quality content website that he is a ‘Scottish officer’ working for the British government. Even though this categorisation of him as being different from British subjects / citizens has its own deficiencies, there are some positive points that can be attached to it also. He has claimed the authorship of this book. 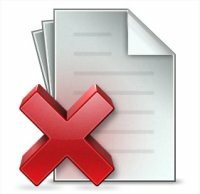 There are locations where other persons are attributed as the authors of those specific locations. Also, there is this statement: QUOTE: The foot-notes to Mr. Græmo’s text are by an experienced Native Revenue Officer, Mr. P. Karunakara Menon. END OF QUOTE. The tidy fact is that the whole book has been tampered with or doctored by many others who were the natives of this subcontinent. Their mood and mental inclinations are found in various locations of the book. The only exception might be the location where Logan himself has dealt with the history writing. More or less connected to the part where the written records from the English Factory at Tellicherry are dealt with. His claim, asserted or hinted at, of being the author of the text wherein he is mentioned as the author is in many parts possibly a lie. In that sense, his being a ‘Scottish officer’, and not an ‘English officer’ might have some value. The book Malabar ostensibly written by William Logan does not seem to have been written by him. It is true that there is a very specific location where it is evident that it is Logan who has written the text. However, in the vast locations of the textual matter, there are locations where it can be felt that he is not the author at all. There are many other issues with this book. I will come to them presently. Let me first take up my own background with regard to this kind of books and scholarly writings. 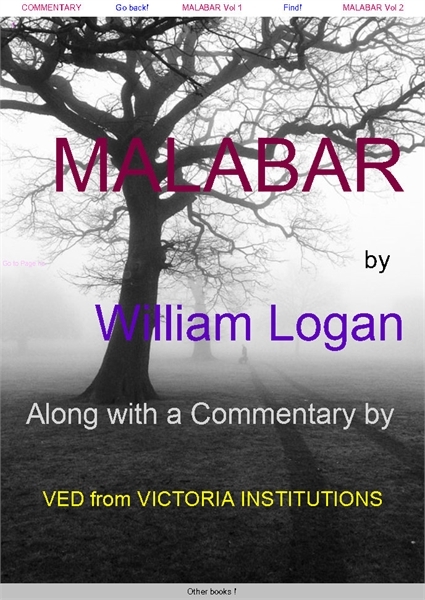 William Logan's Malabar is popularly known as ‘Malabar Manual’. It is a huge book of more than 500,000 words. It might not be possible for a casual reader to imbibe all the minute bits of information from this book. However, in this commentary of mine, I have tried to insert a lot of such bits and pieces of information, by directly quoting the lines from ‘Malabar’. On these quoted lines, I have built up a lot of arguments, and also added a lot of explanations and interpretations. I do think that it is much easy to go through my Commentary than to read the whole of William Logan's book 'Malabar'. However, the book, Malabar, contains much more items, than what this Commentary can aspire to contain. This book, Malabar, will give very detailed information on how a small group of native-Englishmen built up a great nation, by joining up extremely minute bits of barbarian and semi-barbarian geopolitical areas in the South Asian Subcontinent. This Commentary of mine is of more than 240,000 words. I have changed the erroneous US-English spelling seen in the text, into Englander-English (English-UK). It seemed quite incongruous that an English book should have such an erroneous spelling. Maybe it is part of the doctoring done around 1950. At the end of each chapter, if there is space, a picture depicting the real looks of the ordinary peoples of this subcontinent is placed. Most of them do not represent the social leaders of the place of those times. Just the oppressed peoples of the land.